Note: This is part two in a series. Read part one on what to expect before signing a letter of intent here. Congratulations! You have a letter of intent (LOI) in hand and you’re ready to open up your company and books to the potential buyer so they can complete their diligence. There’s still a long way to go until the buyer puts money into your bank account and this post will tell you exactly what to expect. Something to keep in mind is that a potential buyer will be spending hundreds of thousands of dollars on service providers to perform diligence and wouldn’t get to that part of the process with you unless they are extremely serious about buying the business. The post-LOI process might have some moments of tense discussion and debate but it’s important to remember that the buyer has a lot to lose by not closing the deal. With that context, let’s get started! 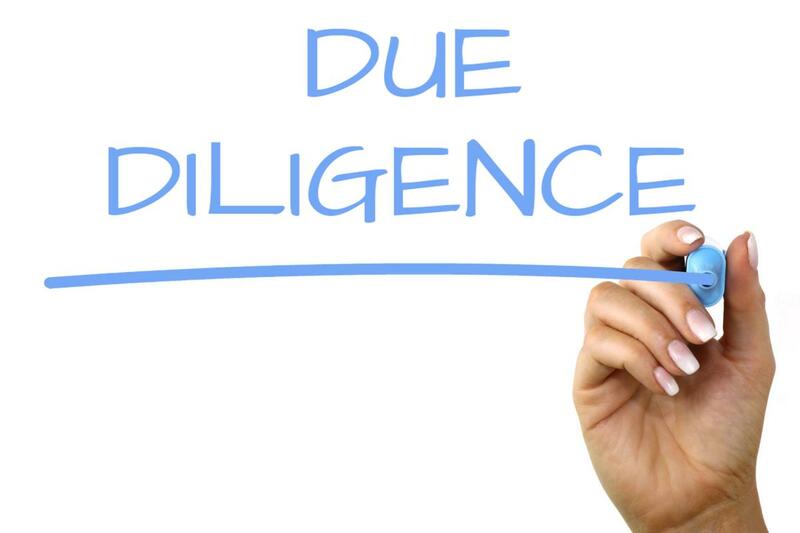 Don't get overwhelmed with due diligence; It's easy! The whole reason a buyer signs a letter of intent with you is to provide them with an exclusivity period so they can learn more about the company on their terms and answer outstanding questions they have. The biggest piece of this is performing financial and operational due diligence. A key question a buyer is going to have is whether the numbers you’ve presented them throughout the process are, in fact, an accurate representation of the business. In this vein, they will likely hire a Quality of Earnings (QofE) team to spend several days on-site with you and verify your books. On the revenue side, the QofE team is going to go through your actual customer invoices to make sure they match the reported income on your profit and loss statement. This will also help verify the timing of your monthly revenues and expenses and calculate your monthly net working capital, which will help them calculate how much money to leave in the business to cover those monthly expenses (more on this later). On the costs side, they’ll want a breakdown of the salaries for each individual employee, expenses that you incur in a personal capacity that you charge to the business (personal vehicle leases, etc), excess compensation you take, and other expenses that might have to be adjusted. Overall, if you’ve kept decent records (as recommended here), there shouldn’t be any surprises. For this stage to impact a deal significantly, they would have to discover significant discrepancies. The essential question they will be trying to answer is whether there are risks from an execution standpoint and what steps they will need to take to mitigate those risks. From what I’ve seen, unless you are significantly and intentionally misrepresenting your company, you shouldn’t have any problems. Especially with smaller companies, potential buyers are used to seeing imperfect processes and are willing to forgive quite a bit before it impacts valuation and purchase price. They recognize that many CEOs are more concerned with building the business than keeping tight processes. A company’s value to its customers is heavily reflected in both customer retention and what customers have to say about the product or services provided. The institutional buyer likely already ran a retention analysis with your customer file to determine customer churn and may want to speak directly to your customers to learn about the products and services provided. The buyer may want to do a customer survey, where they hire a research firm to survey potential customers of both your firm and competitors firms to make sure that you actually are providing the value you’re charging for. In addition, customer surveys are great sources of additional ideas for growth. Generally, the buyer will hire an outside research firm with an extremely generic name to interview customers. These surveys can provide incredibly valuable insights, not just to the potential buyer, but also to your management team as you make customer-focused decisions. IP examination, where the buyer examines and assigns value to the company’s intellectual property holdings. This is also helpful in determining the company’s competitive position and moat. Bottom line, if you have a profitable well-run company, you shouldn’t have a problem with any steps of the diligence process. It’s a fact that you know your company better than the buyer does and, if you have a great partner, they’ll readily admit that. As such, they’ll want to pick your brain on how you think the business should be run and where to grow the business from here. Generally, buyers will want to know what additional products and services you can offer your customers, how you plan on getting new customers, and specific targets for growth. They may want to sit down and create an entire budget for the next year, as well as discuss any key hires that need to be made to achieve that growth. The growth and revenue targets you set in this meeting may be referenced in your future employment agreement as hurdles to your bonus. They may also be referenced in the earnout piece of the purchase agreement (discussed more here). It’s better to set and beat conservative growth expectations than to miss more aggressive targets, even if the end result is the same. While the diligence process is taking place, items may emerge that require renegotiation or increased specificity. For example, many LOIs simply state the length of an employment agreement for yourself and the management team, without defining salary, bonus, or hurdles. Furthermore, you may have negotiated the terms of your non-compete agreement in the LOI but you decided you want to be able to offer consulting services in your industry after you leave the company. That would require the terms to get more specific with regards to geography or length of time. Institutional capital is usually willing to work with management to make sure the terms work well for both sides. The most unfamiliar and unusual of the terms that might need further clarification is called “reps and warranties.” Essentially, this clause is to protect the buyer from fraudulent or inaccurate representations that you’re making about your company. This can often be very specific, with the buyer defining their understanding of specific line items in your P&L and balance sheet. Generally, there will be an acceptable range (+/-10% for example) for a margin of error. You definitely want a lawyer to look over this. You don’t want to be sued for breach of contract later or lose your escrow over a statement you thought was correct that turned out to be wrong. The last thing you'll likely negoatiate is the amount of working capital to be left in the business. Generally, buyers will value the company on a "cash-free, debt-free" basis, where they assume debt will be paid and cash removed from the business before close. If the timing of your cash inflows and cash outflows differ, you may need to leave some cash in the business to finance that. For example if you get paid by your customers monthly on the 15th but your paychecks and rent are due the 1st, you would have to leave enough cash in the business to cover those expenses. You’ll also use these diligence meetings to come up with a publicity plan for announcing the deal. As it stands right now, your employees don’t know that you’re selling the company, and you don’t want them to consider leaving when they find out. Having a defined, effective communications plan is key. The plan should include exact details on who is going to know about the transaction and when. I’ve found that it’s easiest for people to digest and process the news when they are given time and the news is coming from someone they respect. 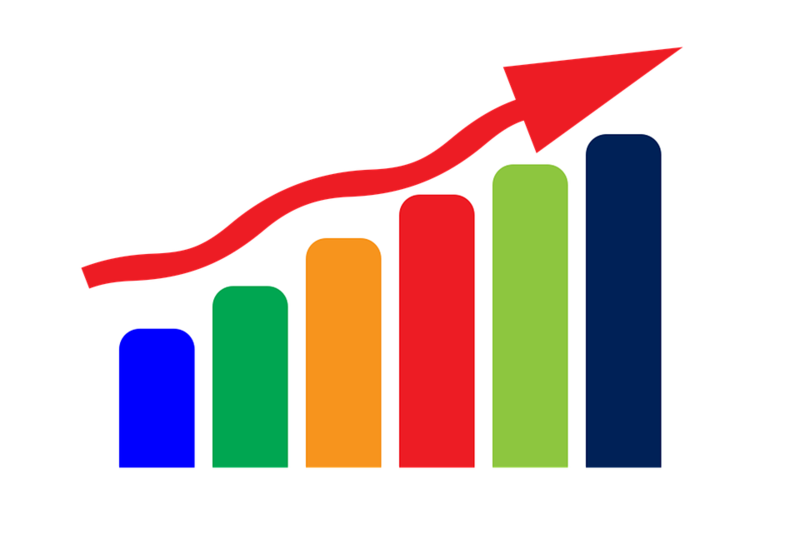 Consider having your management team sit in on the growth strategy discussions so they can start to get comfortable with the potential new owners and the growth the buyer plans on bringing to the business. When you have them on board, get them to tell their respective teams a couple days before the deal is widely announced. The first thought your employees will have when you tell them is that of concern for their job. Remind them that they are the reason the buyer is even interested in acquiring the company and that this is an opportunity for growth, not something to be feared. Consider using words like “partnered with” or “invested in” rather than “bought,” “sold,” or “acquired” to describe the transaction. Consider telling key customers after you tell your employees, emphasizing that the service they are used to won’t change and that, if anything, the additional investment will allow for them to have an even better experience. However you decide to tell the world, make sure you have a well thought out plan that everyone is on board with. One of the most stressful things that can happen post-LOI is getting “re-traded.” A re-trade is when the buyer decides that, due to the diligence done, your company isn’t worth what they had originally put in the LOI. If a seller misrepresents the value of their company up-front, a re-trade can be justified. However, there are also unscrupulous buyers who know that you won’t want to go through this process again with someone else and they use that to their advantage to get you to lower your sale price. The best way to prevent a re-trade is to only go into business with potential buyers you think are scrupulous and decent people. From first-hand experience, the firm I worked for almost never re-traded people because they believed that, if they agreed to terms, they should follow through, even if it meant paying a slightly higher multiple of earnings or sales. Ask for specific reasons they are lowering the purchase price and argue against those reasons. For example, if the buyer says that they had to adjust earnings to take a transitional CEO into account, politely point out that your role is temporary and temporarily adding another member of the management team doesn’t permanently affect earnings. Make them commit to close. Have them provide a number that they know they can close on and take time to consider their revised offer. Change the deal structure. Once they make you a revised offer, don’t be shy about countering. Are you willing to accept a change in timing of payments instead of change the overall purchase price? Make that known. DO NOT negotiate against yourself. If you’re willing to accept their re-trade too easily, they might think about an additional re-trade dow the line. Don’t worry about saying no. I know it sounds exhausting to go through a process again but if there is one interested buyer, there are going to be others. Overall, a well-prepared seller can successfully navigate a re-trade situation. Selling your company is inevitably going to leave you a huge tax liability to Uncle Sam – probably the largest of your life. Part of a discussion with a buyer should involved trying to reduce that liability as much as possible. If you are an S-Corp or other pass-through entity, you should be able to just pay capital gains, as you’re essentially selling a security. Every situation is different but it makes sense to discuss those options with the buyer and a tax attorney. Additionally, timing the close of the transaction with year-end or the end of a quarter reduces complexity of taxes in the future. If you close on the 10th of January, you’ll have to file an additional tax document for the year vs. closing on the 31st of December the previous year. If you can, time the transaction so it falls at the end of the period and you don’t have to do a stub-period audit or additional tax filing. Time to break out the champagne! You’ve done it! You’ve successfully navigated the main pieces of the diligence period and now you’re ready to officially sell the business. Your lawyer and the lawyer of the buyer have hashed out the final deal details, the diligence looks good, and you have a great plan for the future of the company and growth. Now all that comes is to sign on the dotted line. As soon as you sign, the buyer should initiate the wire transfer into the account you provided. 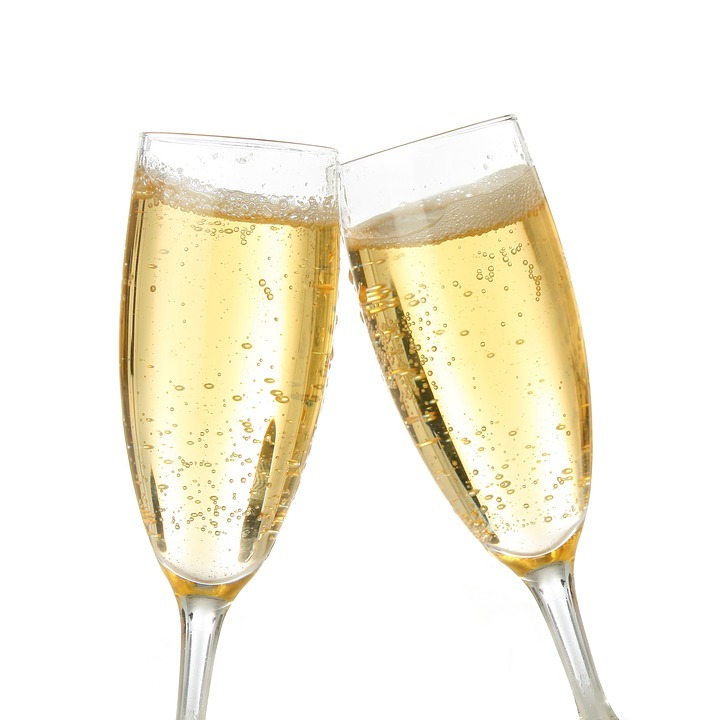 From there, it’s time to pop the champagne.